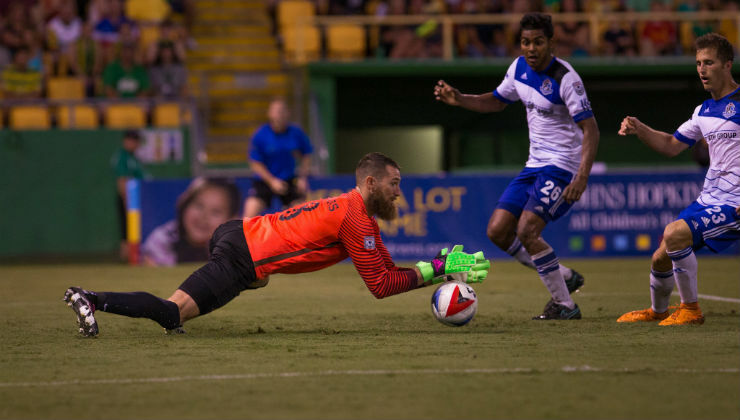 The meeting between FC Edmonton and the Tampa Bay Rowdies on Sunday will have a major impact on the postseason race. FC Edmonton (8-6-3, 30 Fall; 13-8-6, 47 Combined) is on the brink of clinching a postseason berth and can do so with a win at home. The Rowdies, on the other hand, are trying to keep their postseason hopes alive. The Eddies snapped a five-game scoreless streak with two goals late in the game against Indy Eleven for a 2-1 win last Sunday. Papé Diakité continued his string of standout performances at the back, while scoring in the win. Recent sparkplug Ben Fisk finally got off the mark as the Canadian youth international scored the winner in the 94th minute. FC Edmonton has played two tight contests with the Rowdies in the past, with each side earning 1-0 wins. The Eddies were victorious in the last matchup, in the Fall Season, on a Daryl Fordyce penalty-kick goal. Tampa Bay (5-6-6, 21 Fall; 9-10-8, 37 Combined) was staring a big loss in the face on Wednesday night, but Keith Savage rescued a point in the 2-2 draw. 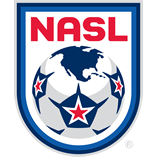 The point kept the Rowdies on par with their midweek opponent, Minnesota United, with both sides sitting on 37 points in fourth place in the Combined Standings – the Loons hold the advantage in goal differential, but have played one more game than Tampa Bay. With a log jam in the table for the final postseason place, the Rowdies will need to build upon their current seven-game unbeaten run in one of the toughest places to pick up points: Clarke Stadium.